Missoula County Attorney Kirsten Pabst. Today Pabst fired back, delivering a 20 minute monologe at the Missoula County courthouse, saying the book and attention around it have left the public with a misunderstanding of her office, and changes and improvements it’s made in the last several years. "Now is not the time to refute the many factual errors in the book," Pabst said. "While the charges the author has made against me, the Missoula County Attorney’s Office and my predecessor, are inaccurate, exaggerated and unnecessarily personal, he is correct in that our investigation and prosecution standards needed to be improved." Pabst said those improvements have been made, and that the state attorney general and US Department of Justice have affirmed that. "In all of the hubbub, the importance of our new program and efforts at improving sexual assault prosecutions has been in the shadow," she said. In her remarks, the county attorney portrayed Krakauer’s book as perpetuating what she said is a common misunderstanding of a prosecutor’s role. "Oversimplifying the many factors properly considered in deciding if a person should be formally charged with committing a sexual crime is disingenuous, destructive and – in the end – harmful to victims," pabst said. "It is not enough to cast blame. To start to solve this challenge together, we need to begin by understanding the facts." Krakauer says he went to great lengths to document facts in his book. He says he reviewed thousands of pages of trial transcripts and police interview recordings, that he interviewed victims, their families and, when possible, the men accused of sexual assault. He told NPR’s Weekend Edition on Sunday, "I, for the most part, did not have cooperation of any law enforcement. I relied on records that I'm not supposed to have. I relied on documents. You know, I needed a paper trail. I needed to know the truth. I really had to be solid. ... I interviewed victims at great length. I tried to interview the rapists — only one of them actually talked to me on the record. But I had thousands and thousands of pages of trial transcripts, hearing transcripts. I had recordings." If Pabst believes her reputation has been damaged by false statements in Krakauer’s book, she could file a lawsuit against him for libel. She made no mention of that in her remarks today, nor did she take questions from the media. While she sharply criticized Krakauer, Pabst devoted much of her speech to talking about changes within her office aimed at improving response to sexual assault. 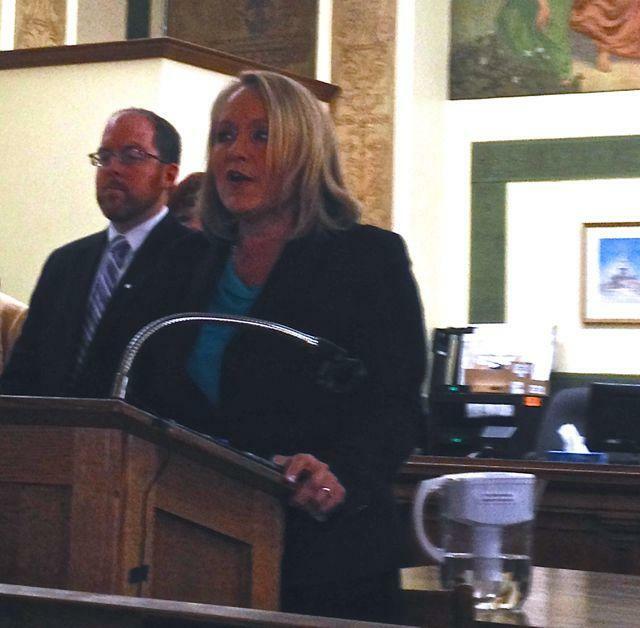 "Until fairly recently, only one prosecutor was dedicated to handling these cases," she said. "Now I have a specialized unit, made up of 4 full time prosecutors, plus a supervisor and a Victim Witness Coordinator. Prosecutors on this team have been receiving specialized training and have smaller caseloads so that they can devote the time necessary to successfully prosecute challenging cases. "Additionally, we have hired a full-time Victim Witness Coordinator, who works with victims, advocates, and law enforcement, to make sure that victims are treated with dignity and that we improve how we provide services to victims of crime." The dialog over Jon Krakauer’s book about Missoula and sexual assault is only now beginning. The author will be in town for a public forum on May 6th.